Bring the joy and adventure of Zentangle drawing techniques into the studio or home with this book from Kass Hall. This certified Zentangle instructor will take artists through exciting demonstrations and techniques that will both relieve stress and make creativity soar. This book includes step-by-step instructions and tips on how to add personal flair to artworks. Artists can relax and enjoy the art of Zentangle with these daily meditations and creative art projects. Every day will prove to be more creative and Zen with these exciting techniques. This book will teach how to create shapes, borders, letters and Zendalas, step-by-step. 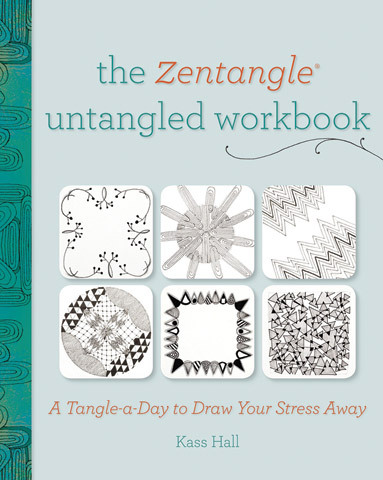 It also includes instruction on how to use Zentangle as a mediation tool for relaxation.